uPackingList – Designed to turn packing into fast and easy activity. Go on a business trip, family vacation, picnic, fishing, Disneyland, etc. without the hassle of forgetting to pack certain items or do certain errands. uPackingList is available for iOS mobile platforms. Easily create a new list, through which a number of default items can be selected. They are divided into categories, including trip, food, tools, electronics, money, accessories and to-do list before you leave. If you don’t find the item or electronic gadget in the default lists, you can always add a new category or a new item with a few simple clicks. Create lists of items that are necessary for your trip or activity. Specify the purpose of travel, departure date, and destination. The application will choose the appropriate items, taking the weather and specified parameters into account. Return to the application and reuse previously created lists. Add, edit or delete new items and categories. Edit templates as needed. 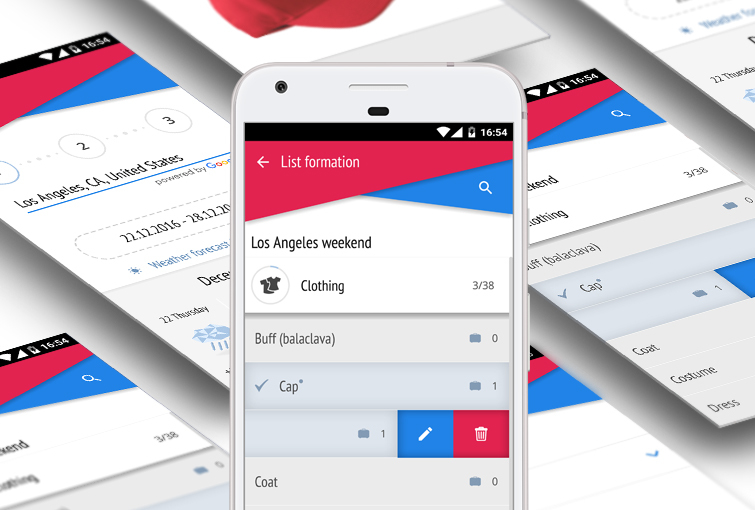 Version 4.2.0_100 is a totally new design with a Smart Assistant. A new list will adapt to the purpose of your trip, the destination, and the weather that awaits you there.